Daniela Treveri Gennari presented the project at the conference “Our uncommon Ground. 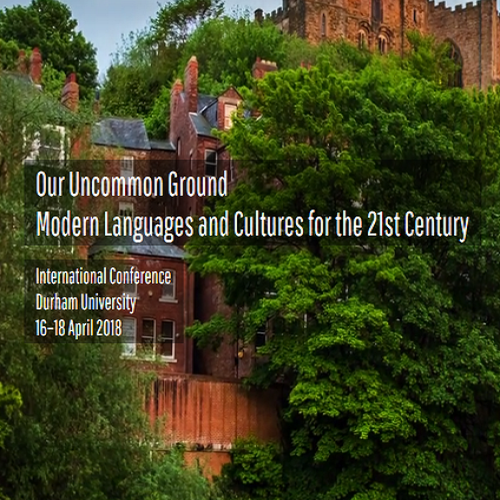 Modern Languages and Cultures for the 21th Century”. Abstract: European Cinema is a consolidated field of research but up to date largely composed of national cinema histories. Building on the work of cultural historians studying the reciprocal traffic of culture across borders (Schwarts, 2007; Werner and Zimmermann, 2006), this paper aims to move beyond the particularism of national cinema histories in order to explore entangled histories of cinema-going across three European cities: Bari (Italy), Ghent (Belgium) and Leicester (UK). The three cities have been selected as they present similar population density (less than 500,000) and film exhibition structures (around 30 cinemas), as well as being representative of their national film culture. The different cinema cultures will be investigated by looking at the varied cinema exhibition structures, programming strategies and film popularity. Through the analysis of exhibition, programming data and box office figures this paper will provide new views on film preference and popularity, on the widely accepted concept of Hollywood’s dominance in European markets, and on national films which travel across national borders.